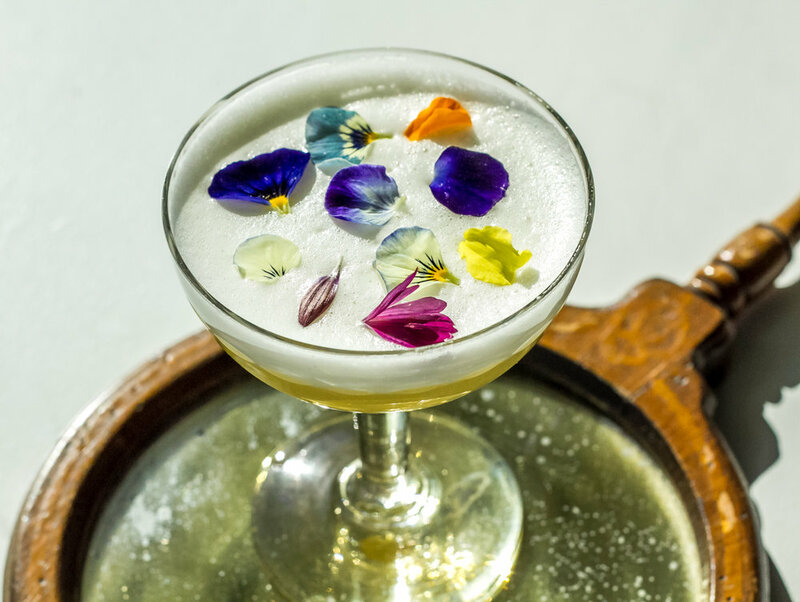 I am a huge fan of craft cocktails and I probably don’t have to tell you that I’m always on the lookout for tea-infused craft cocktails wherever I go. Recently, I’ve realized that 99% of the already scarce tea cocktails available on the local imbibing scene feature Earl Grey. Don’t get me wrong, I love a good Earl Grey tea cocktail, but I believe it’s high time bartenders tried something new. To make up for the lack of other teas in the craft cocktail world, I have a beautiful recipe for you. When I don’t go out, I love playing bartender at home. Let’s be honest, sipping a fancy, creative drink crafted with homemade and locally sourced ingredients and served with great attention to detail is still a fancy affair, even if you are in your pajamas and slippers. The inspiration for this cocktail is the marine layer, the fog that rolls in from the ocean and envelops the city of San Francisco. Tamaryokucha, a Japanese green tea similar to the more widely known sencha, represents the ocean. Tamaryokucha leaves are curly, instead of needle-shaped and its savory flavor profile with hints of seaweed and a mineral finish inspired me. The fog (did you know that the fog in San Francisco has a name? Karl the fog) is the silky foam on top of the cocktail, which is achieved by shaking the cocktail with an egg white. In between, fragrant eucalyptus groves (eucalyptus simple syrup) and citrus fruit plants that abound in the area (lime juice, the sour component of the cocktail). In a small glass jar with lid, combine tea leaves and gin. Shake and let stand at room temperature for 12 hours or overnight. Strain and discard tea leaves (or reserve them to infuse another batch). In a small saucepan, combine water and sugar and add the content of tea bags (I find it steeps more easily). Stir and bring to a boil. Immediately remove from heat, strain into a clean, heatproof container and let cool. Cover and refrigerate. In a cocktail shaker, add all ingredients except ice cubes and edible flowers. Shake vigorously for at least 30 seconds. Open the shaker, add ice cubes and shake again. 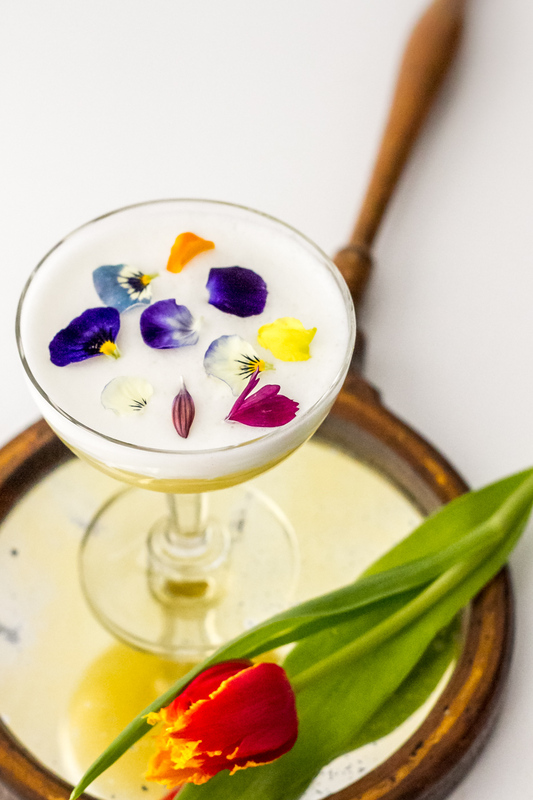 Strain in a cocktail glass or coupe and garnish with flower petals. Cheers!